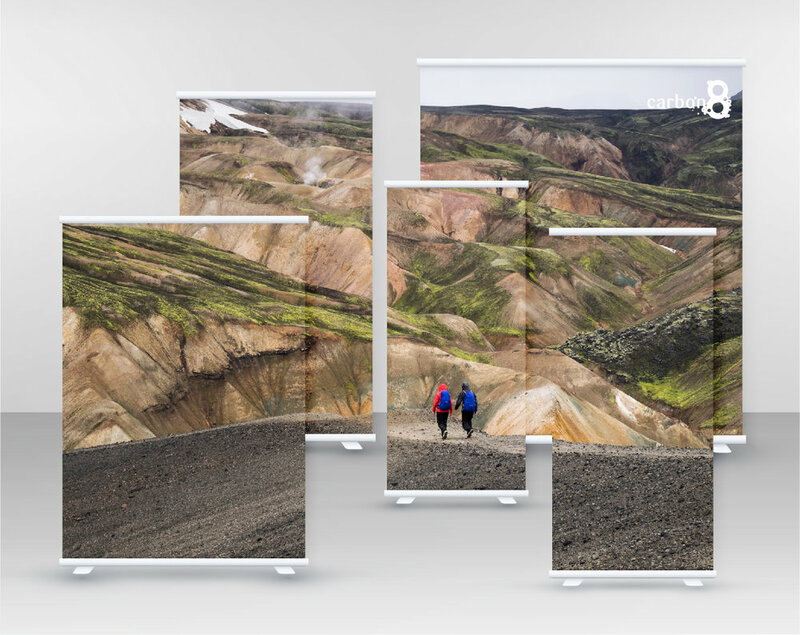 We can produce all manner of pull-up banners using a variety of bases based on your requirements. Bases are generally silver in colour but black is available in some configurations. We print the majority of this style of banner on a grey-backed high quality poly banner which unlike vinyl does not curl as they age. Our premium quality banners use the best bases available which are much heavier and stable than the cheaper online banners sold everywhere else. Our premium banners are also laminated to ensure your print does not degrade despite regular use. When preparing your artwork please use the appropriate template below. Pull-up banners require specific bleed allowance to ensure uniform fit so please prepare with the below specs in mind.